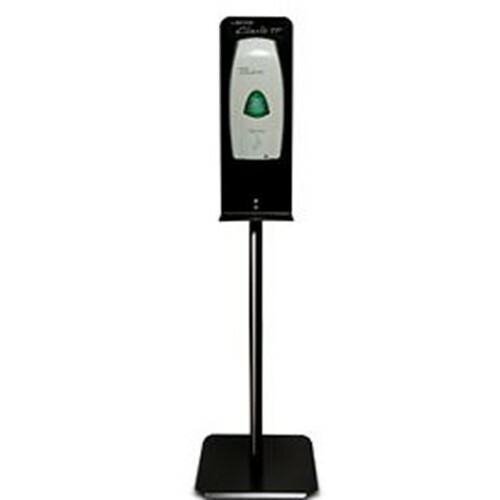 Clario Touch Free black metal floor stand. Stable design, sturdy construction and avoids tipping. Built in dispenser tray to catch any misses and keeps floors clean. Easy to assemble, hardware included.